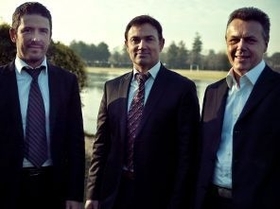 PSA's dream team: Design chief Ploue, center, with new brand styling bosses Vidal, left, and Metroz. PSA/Peugeot-Citroen is driving forward its bid to further differentiate its two brands by appointing new design bosses for the marques. Gilles Vidal is new design director of Peugeot while Thierry Metroz will head design at Citroen. The appointments take effect Jan. 4. Both executives will report to Jean-Pierre Ploue, PSA's design director. PSA said the new posts will help the company pursue its “goal of clearly differentiating” its two brands and maintaining a lead in automobile design. Vidal, 37, joined PSA in 1996. Since early 2009, he has been in charge of concept cars for Peugeot's styling department. He helped to define Peugeot's new corporate identity, which will be unveiled in early January. Metroz, 46, was Renault's director of exterior design until last July. During his time with Renault, Metroz established design and styling units outside France and managed international projects in Asia and Brazil. Under PSA's brand differentiation strategy, Citroen is launching "competitive premium" cars such as its new three-model DS range. 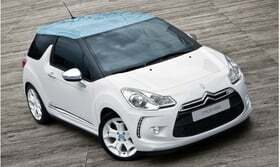 Citroen is going upscale with cars such as the DS3. Peugeot is introducing individual 'halo' cars such as its RC-Z coupe, which resembles an Audi TT. Its design language will move toward smoother, more aerodynamic shapes, as shown on the 5008. The 5008 shows Peugeot's new aerodynamic styling. 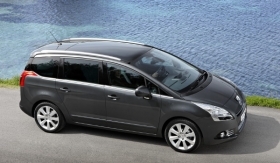 Peugeot also will concentrate on driving dynamics while Citroen will emphasize comfort in its cars.